A characterful lamp with designer appeal, the Tier Lamp from Porta Romana is hand-crafted using traditional techniques and modern finishes. The striking tiered shape is created by allowing the beautiful glaze to run down the base and pool gently at the edges. A unique effect that creates eye-catching definition, each piece will have its own individual pattern and markings. A truly unique lamp, Tier is available in two beautiful hues. Choose from the pretty and warming Garnet or the sophisticated Sulphur colourway. 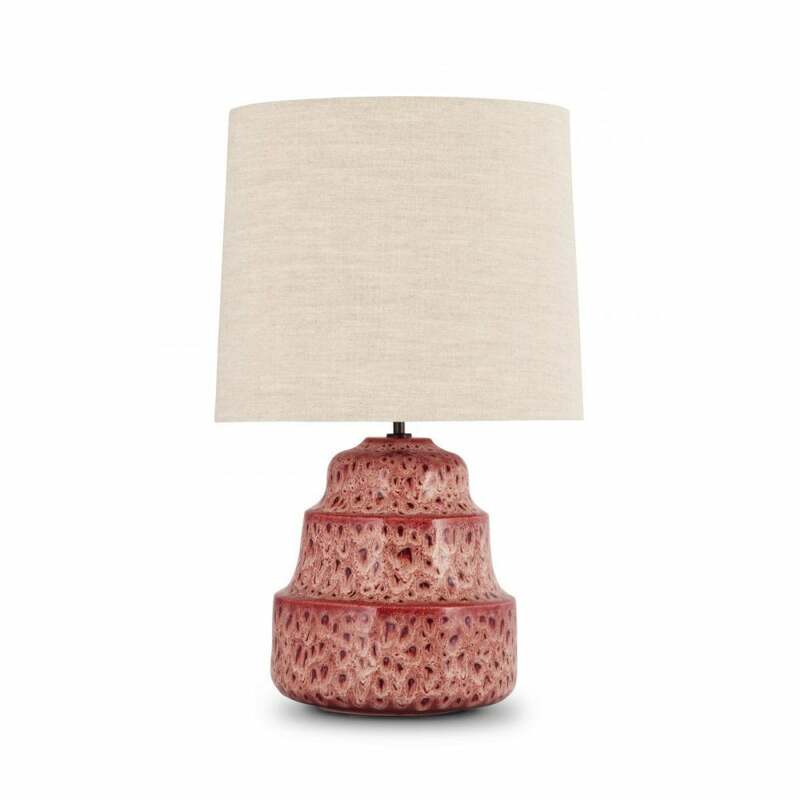 Complete the lamp with an exquisite hand-made shade from Porta Romana. Make an enquiry for more information.